Bouchat, Clarence J. 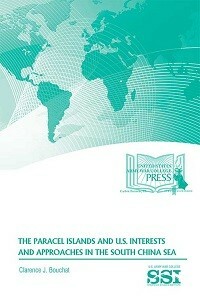 The Paracel Islands and U.S. Interests and Approaches in the South China Sea. Carlisle Barracks: United States Army War College Press, 2014, 199pp. The Parcel Islands and U.S. Interests and Approaches in the South China Sea is a research report written by Clarence J. Bouchat and published by the U.S. Army War College. Its analysis matches with the recent years’ development of the United States National Security Strategy that has sought to readdress the Asia-Pacific . 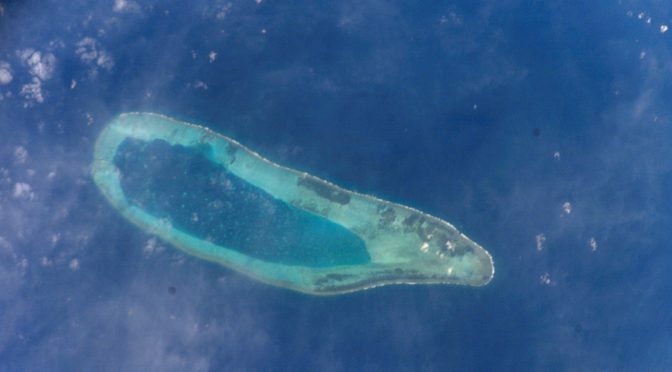 Though many events have occurred in the South China Sea, primarily around the Spratly Islands, little attention has been paid to the dispute between the Socialist Republic of Vietnam and the People’s Republic of China over the Paracel Islands since the policy resettlement. Bouchat’s analysis fills the gap for U.S. strategic thinkers and policymakers. The geographical location of the Paracel islands make it a suitable forward base for a substantial military maneuver, either targeting on the Indo-China Peninsula or with the intent of dominating maritime transportation through the South China Sea. For those focused on issues regarding the Sea Lanes of Communication in the East Asia or the larger Asia-Pacific region, a strong command of the geostrategic significance of the Paracel Islands is crucial. This monograph starts with a thorough discussion of customary international law practices associated with various positions held by parties who claim sovereignty over the territories and waters around the Paracel Islands. Rationales based on historic factors or substantial occupation and governance as well as justifications supported by the subsequently established United Nations Convention on the Law of the Sea are considered and reviewed by the author. The maritime jurisdiction attached to the islands or reefs of the Paracel Islands are also examined, though no conclusive judgment is ever given by the author in this text. Nonetheless, the author has successfully provided appropriate information for the strategists to conduct strategic calculations, theoretically prepared for government leadership and various decision makers. Particularly, many arguments and international judiciary facts are fairly noted by the author to clarify myriad missing links in the sovereignty claims originated by various parties involved. 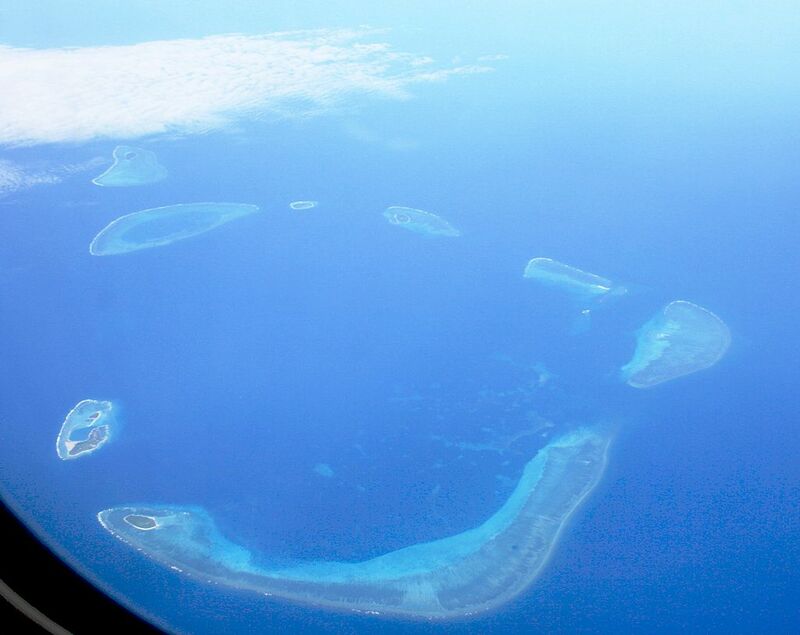 Aerial photograph of the Crescent Group, Paracel Islands. Source: Wikipedia. It is also necessary to mention that Bouchat’s masterpiece has been translated into Chinese and published by the National Defense University in the Republic of China. Undeniably, this fact alone is further confirmation of the value of his research. The Republic of China is the first nation that laid claim to the Parcel Islands (after the World War Two), having published its official maps covering the South China Sea with the famous U-shape line in 1947. If no objection was noted within the translated edition of Bouchat’s analysis report, this implies that Bouchat’s conclusions have high degree of credibility. It is obvious that the author has never unconditionally endorsed the official positions insisted by the Republic of China’s government. On the contrary, Bouchat has fairly listed all the factual evidences in this work, including those issues that might not be necessarily favorable to any single claimant. Compared with various other publications released by the U.S. Army War College, this research report has successfully justified its value by earning recognition from a party involved with the territorial disputes of the Paracel Islands and the larger waters of the South China Sea. Further, an interesting feature of this publication is that it also reflects an implicit joint effort through the following formula: an author with an Air Force background contributed a research report on the maritime affairs published by the Army War College. It proves that we should have no service sectionalism on national security matters. The author and the publisher did contribute a solid argument that a background in the maritime professions should never be a rigid prerequisite on any matter regarding the maritime disputes. Last but not the least, the most noteworthy feature emphasized by the author is an impartial description of U.S. policies and positions towards the issue. The author honestly pointed out the two different roles, or more precisely, two strategic options, fundamentally conflicting in various occasions faced by the United States on the South China Sea disputes. It is indeed reflecting the integrity of the author as an analyst. The United States would like to retain its influences in the Asia-Pacific region; this is a well-known fact. Many nations in this region must strike a careful balance between China and the U.S. How well the United Sates may serve its own interest without a direct clash or conflict with any party within the region is an imminent challenge in near future. The author has presented several perfect inspirations to strategic thinkers. History will eventually disclose whether these planners will appreciate the author’s teachings. Featured Image: Bombay Reef, Paracel Islands. Photo number: ISS004-E-7147. Image courtesy of the Image Science & Analysis Laboratory, NASA Johnson Space Center.